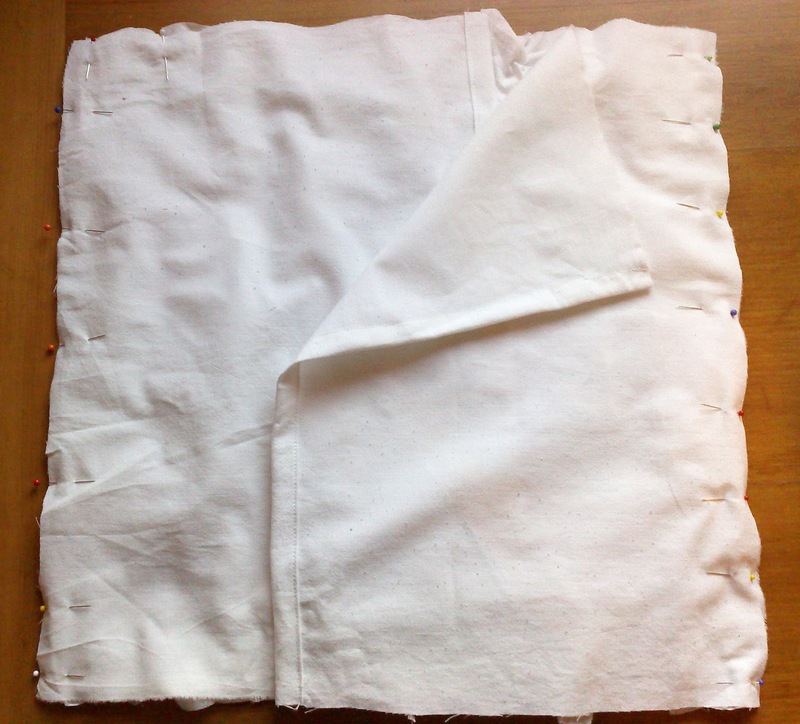 Do you remember the post about the duvet cover I made? 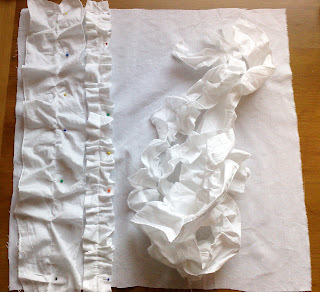 Well anyways I had some leftover ruffles and of course I couldn't just dismiss them and throw them away. So I decided to make a little ruffle pillow. And I even took pictures of the process (for once!) ;D so I can share it with you and try my best to explain all the steps. First cut out the pieces, for my pillowcase I cut out a square that was 40cm x 40cm and two pieces that were 40cm x 30cm. 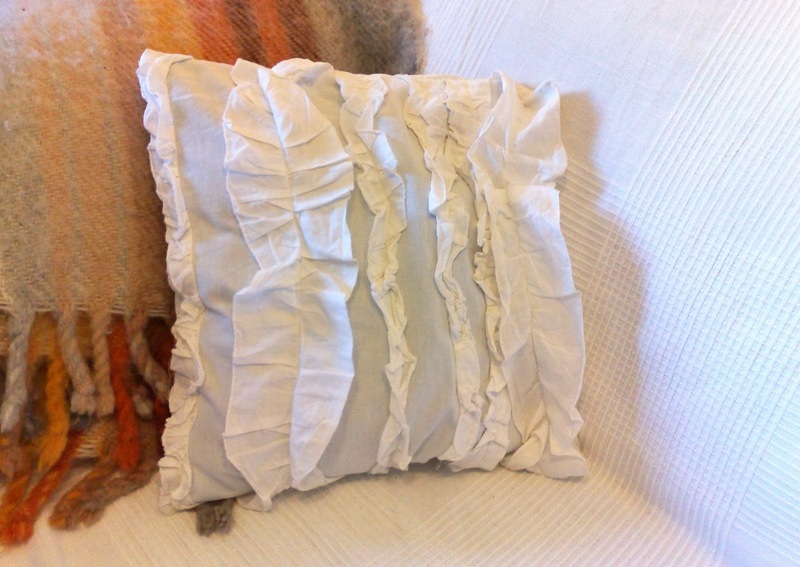 I used these measurements just because I already had a pillow and those were the measurements that I thought would suit best. You can always alter the measurements according to your needs. 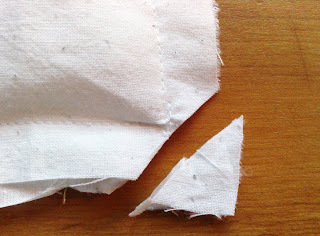 Turn back the edge twice on each of the smaller pieces of fabric, so you will have a "clean" edge. 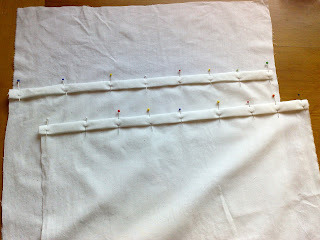 This will be the opening for inserting the pillow. 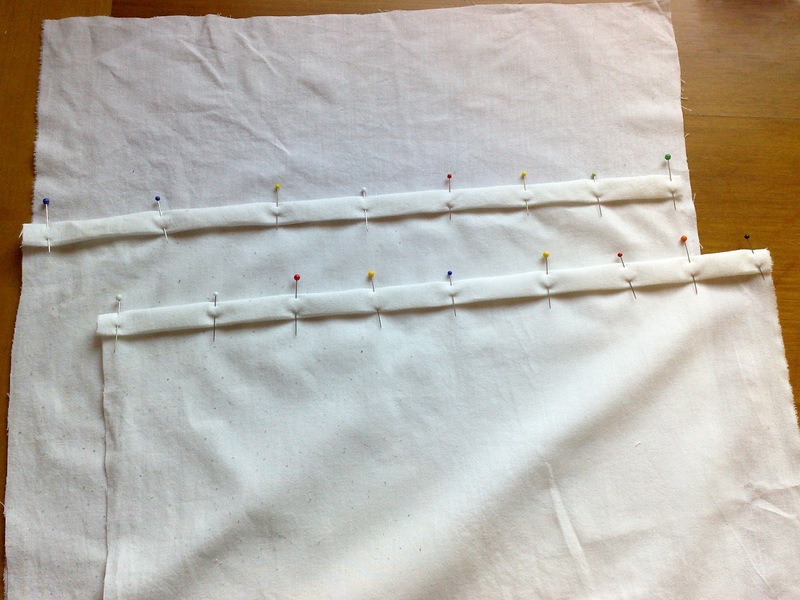 Pin first and then stitch to place. 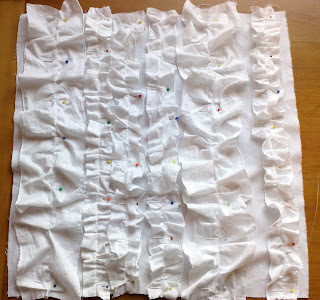 Then take your ruffles (if you don't have leftover ruffles like I did, you can always make some and then come back to this step) and arrange them on the larger piece of fabric (40cm x 40cm) in a way that pleases you. I just arranged them in (relatively :P) straight rows and pinned them down. 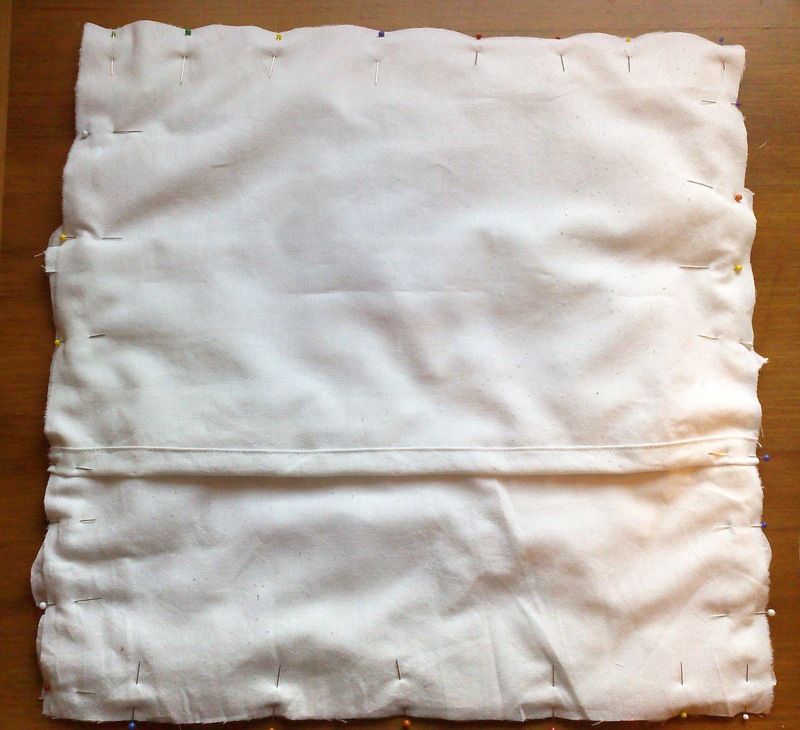 After pinning go in with your sewing machine and stitch them in place (instead of a sewing machine you could do this whole project by hand, it will just take you more time to finish but it is absolutely doable if you don't own a sewing machine or are not familiar with using one). 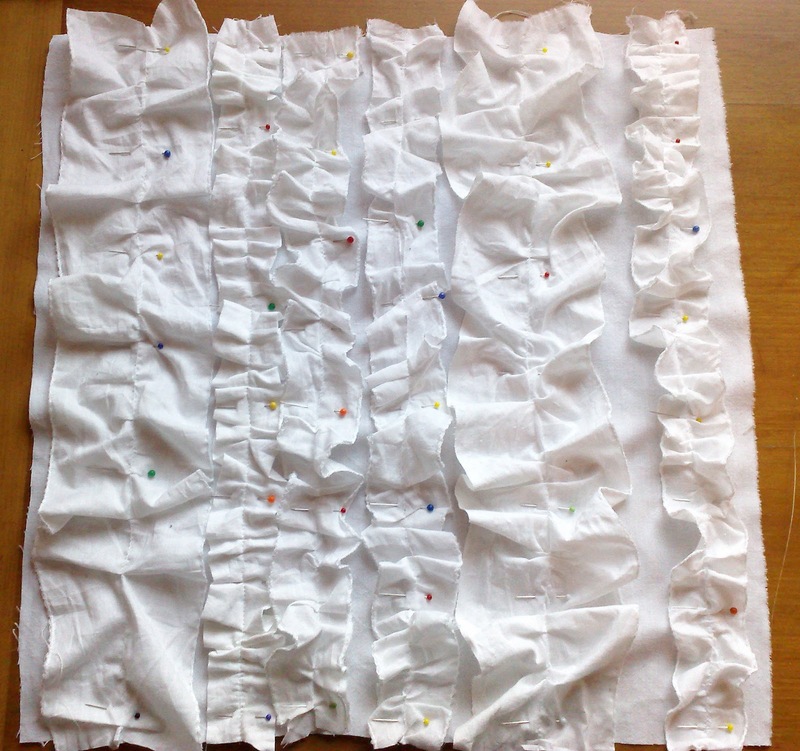 After sewing on the ruffles it's time to assemble the pillowcase. Lay the larger piece down so that the ruffles are facing up (right side up). 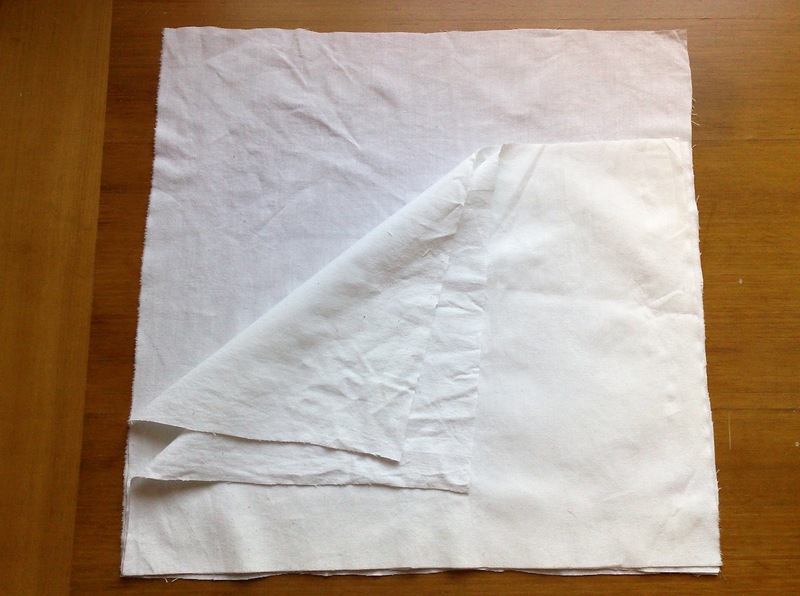 Then lay one of the smaller pieces so that the "raw" edges are lining with the larger pieces edges on one side and the other smaller piece so that the edges are lining on the other side (as seen in the picture below). Both of these pieces have to be laid down so that the wrong side is facing up. 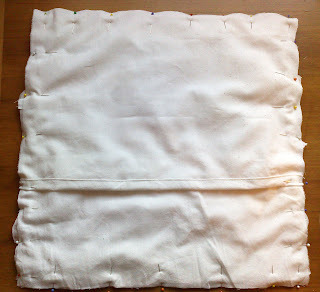 Pin the pieces to place and then sew all of the sides together. If you're not yet a follower then feel free to click the follow this blog button or go and like my Facebook page, it would literally make me jump for joy! I hope you have an amazing day, at least I'm loving it because we finally got snow yesterday!